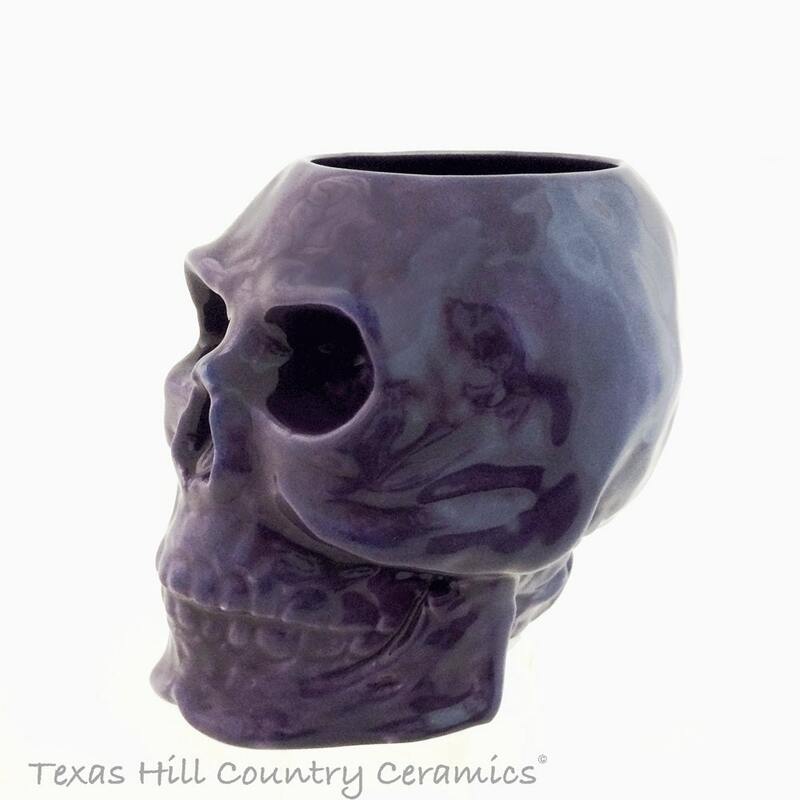 This purple ceramic skull is designed to be used as a holder for toothbrushes, pencils, pens, small tools or brushes used at a work bench. 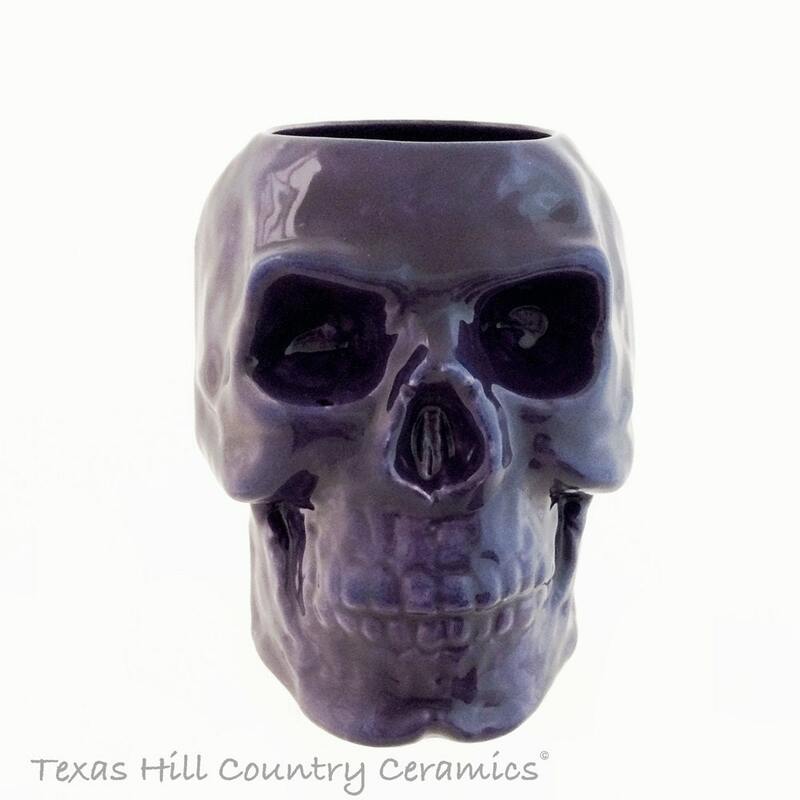 The purple skull container can also be used as a planter for live, dried or silk plants. This skull is a great piece for adding a creepy look to any area of the home or office. 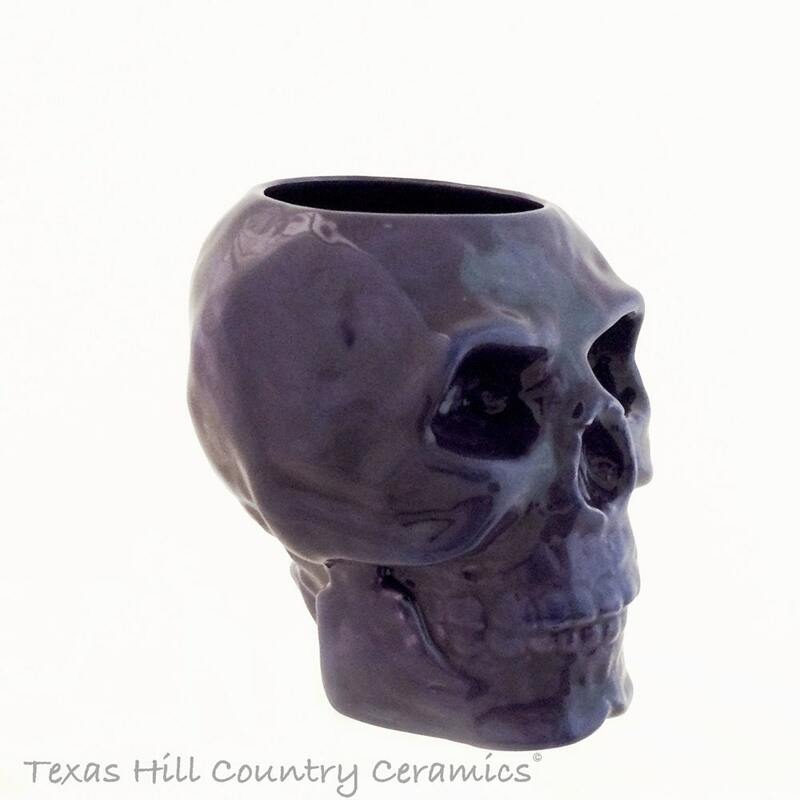 This ceramic skull is made for fun and will compliment any of the other skull ware I make. What better way to add a little creepiness to any Halloween party or pirate setting. This skull is made of domestic earthenware and kiln fired. 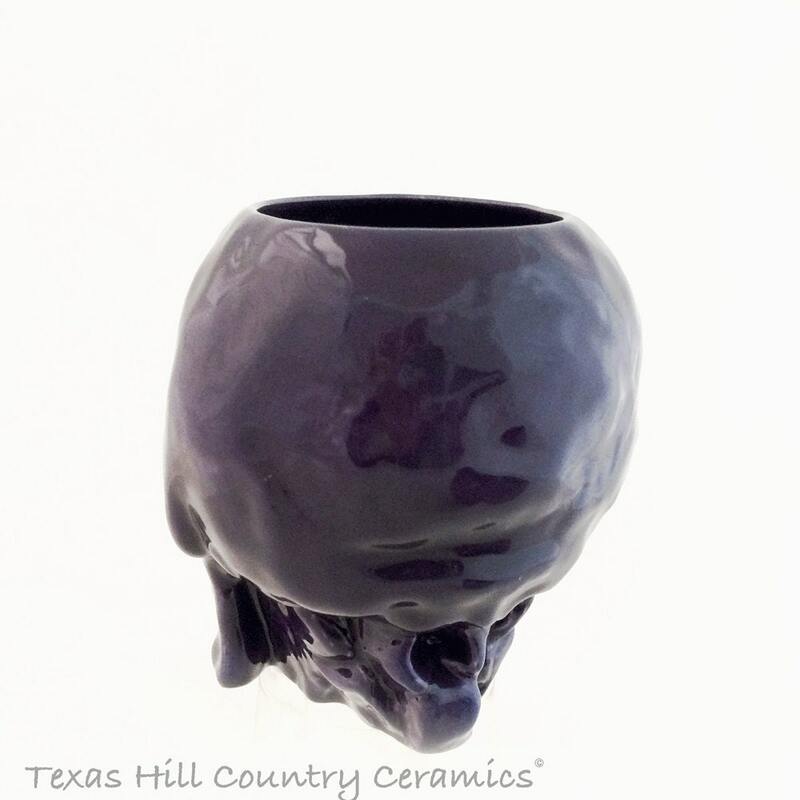 It is finished in a lead free gloss glaze, the skull is also glazed inside with the same gloss glaze sealing the entire piece for added life. This unique holder is made to last many years. Available in assorted colors, see separate listings in my shop. Beautifully crafted. Makes an excellent makeup brush holder. Thank you! She's perfect on my desk holding my flower pens. Thank you! Most favorite one! Love this skull!